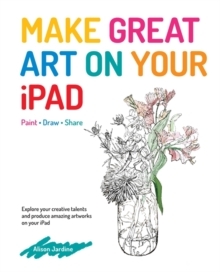 You don't have to be an artist to achieve great results on your iPad, and this refreshingly accessible book is perfect for skilled artists and creative wannabes alike. Alongside the step-by-step projects that teach the fundamentals of digital painting, there are also some easy and fun artistic tricks that anyone can try. Tutorials include - What Would Bansky Do?- Find Your Inner Urban Artist- The 30-Second Portrait Portrait- The Purrrfect Cat - Five Easy Art Hacks - The Not-So-Still Life. You'll master the most popular art apps, and you will learn new painting and drawing skills along the way.